Home Christmas Christmas All Wrapped Up! Philip Morris and Son Have Christmas All Wrapped Up! This year, we were feeling extra Christmassy! 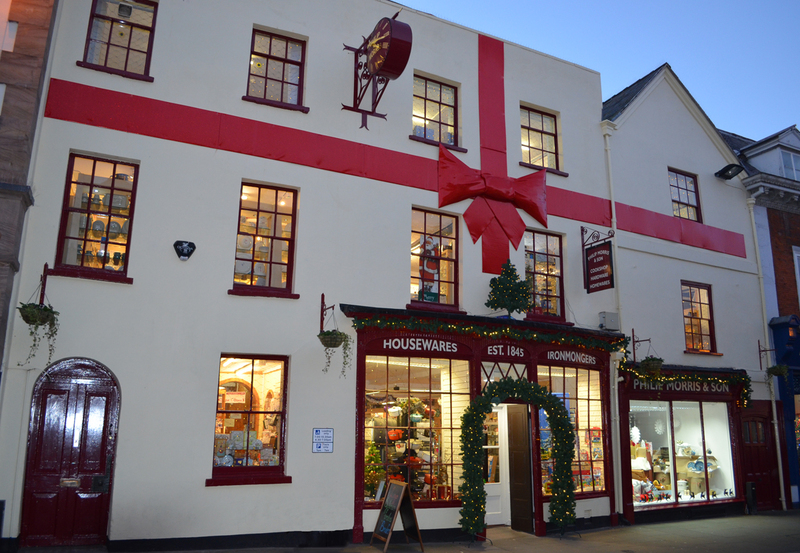 With everything new that’s going on, like the Old Market development in Hereford, we felt we should celebrate by brushing up on our Christmas decorations. We wanted to liven up our 500+ year building, so we set about ‘wrapping it up’! 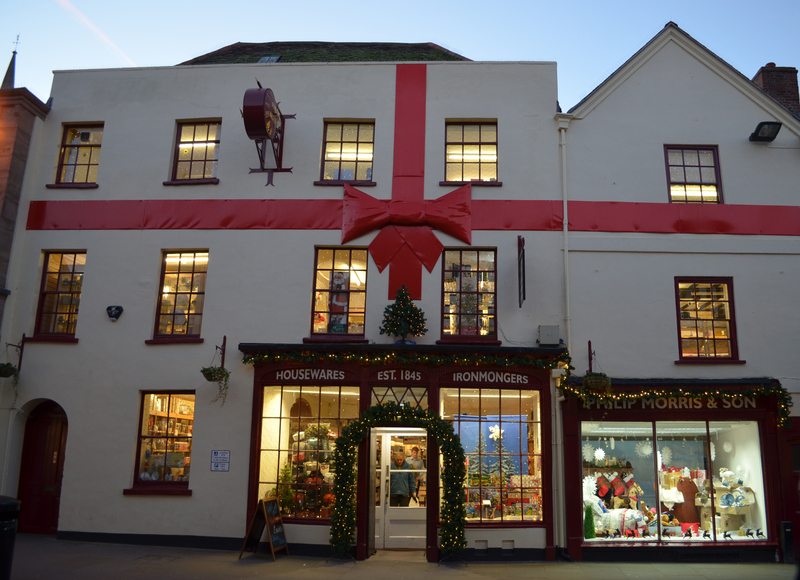 If you haven’t noticed already whilst out on your strolls around Hereford, we’ve put up a huge sparkly red bow and ribbon on the front of our older store on Widemarsh Street! Come by, take a look and see what you think? Does it make you feel excited for Christmas? We hope so! Christmas, hereford, Herefordshire, Philip Morris & Son. Bookmark.